The GMAT Dudes Booklet and Marker are essential preparation tools that will help you become comfortable with the laminated scratch paper and marker given on GMAT test day. 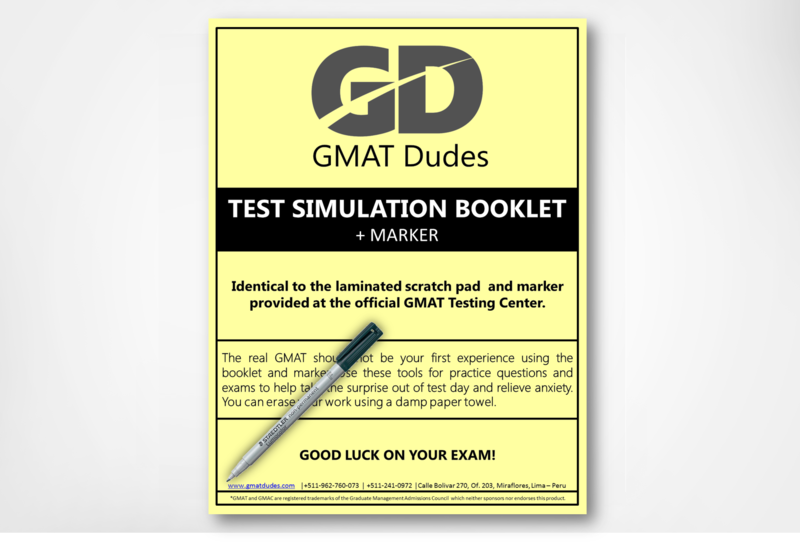 The GMAT Dudes Booklet and Marker are essential preparation tools that will help you become comfortable with the laminated scratch paper and marker that you will be given when you take an Official GMAT. 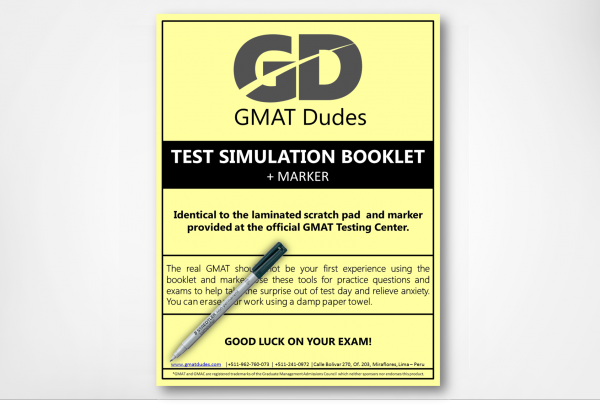 The Test Simulation Booklet consists of five laminated double-sided pages and is virtually identical to the booklet provided at official GMAT testing centers. A non-permanent marker of the same type used for the GMAT is included. You can erase your work using a damp paper towel.